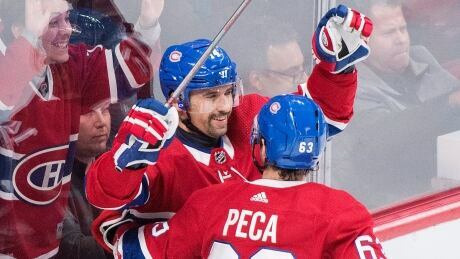 Tomas Plekanec scored in his 1,000th game as the Montreal Canadiens easily defeated the visiting Detroit Red Wings 7-3 on Monday night. Jonathan Drouin had a pair of goals while Tomas Tatar, Brendan Gallagher, Charles Hudon and Paul Byron also scored for the Canadiens (3-1-1). With Carey Price still out with the flu, backup goalie Antti Niemi stopped 25-of-28 shots for his second consecutive victory. Andreas Athanasiou scored twice and Thomas Vanek added another for the rebuilding Wings (0-4-2), who are winless after six games this year — their worst start to a season in franchise history. Jimmy Howard conceded five goals on 20 shots before being replaced by Jonathan Bernier in the second period. Bernier stopped 13-of-15 shots in relief. The Red Wings, who were coming off an 8-2 loss to Boston, have now allowed an NHL-worst 29 goals in six games. Montreal has won six straight versus Detroit dating back to March 2017.